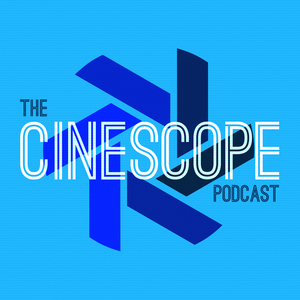 In Episode 49 of The Cinescope Podcast, Chad and Don Shanahan talk about one of their favorite movies, The Karate Kid! In Episode 44 of The Cinescope Podcast, Chad and TJ Draper talk about one of TJ’s favorite movies, The Hunt for Red October! In the seventh bonus episode of The Cinescope Podcast, Chad and Aaron talk about the fifth movie in the Pirates of the Caribbean series, Dead Men Tell No Tales! In Episode 43 of The Cinescope Podcast, Chad and Sarah Parrish talk about one of their favorite movies, Pirates of the Caribbean: The Curse of the Black Pearl! In Episode 42 of The Cinescope Podcast, Chad and Corey Poff talk about one of Corey’s favorite movies, Mad Max: Fury Road! In Episode 41 of The Cinescope Podcast, Chad and Joshua talk about one of their favorite movies, Thor!